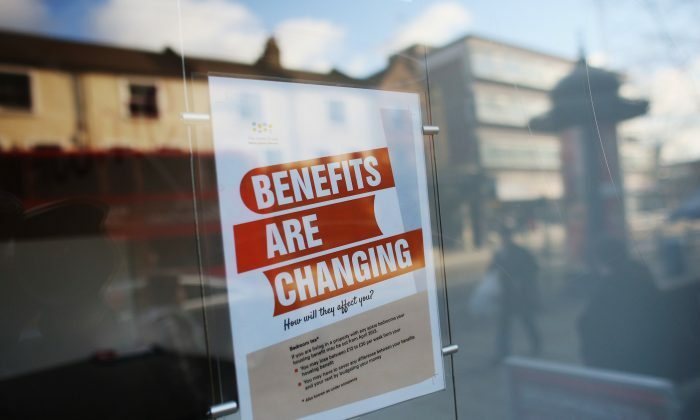 Few debates raise blood pressure more readily than those about the welfare state, especially those regarding the personality of those on benefits. Welfare claimants are both stereotyped as being genetically hardwired as unconscientious and disagreeable, as well as the helpless victims of capitalism. As I am both a personality researcher and former claimant of unemployment benefits, the issue of personality and the welfare state is of special interest to me and is the focus of my new book, “The Welfare Trait.” My research has led me to an alarming conclusion: the welfare state increases the number of children at risk of developing personality profiles that make them less likely to get a job. Research on personality and the welfare state is rare, but in the papers that have been published, the message is clear. Individuals with aggressive, rule-breaking, and antisocial personality characteristics are overrepresented among welfare claimants. It’s as if the welfare state is gradually warping the personality profile of the population so that more people in each generation are resistant to employment. We also know that conscientious, agreeable individuals tend to make good employees. And epidemiological studies have shown that each generation living under the protection of the welfare state had lower work motivation than the previous one. Viewed as a whole, this data suggests that willingness to violate norms concerning work and social responsibility is increasing, generation by generation. It’s as if the welfare state is gradually warping the personality profile of the population so that more people in each generation are resistant to employment. The Nobel Prize-winning economist James Heckman has carried out research showing that intensive preschool tutoring before age 5—not done by the parent—significantly improves the life outcomes of disadvantaged children. Heckman and colleagues showed that intensive preschool tutoring achieved its beneficial effects by altering the personality development of the children: disadvantaged children who received tutoring developed personality profiles that were significantly less aggressive, rule-breaking, and antisocial than those of the untutored children. Since the children were randomly assigned to receive the tutoring, Heckman’s work showed that exposure to childhood disadvantage is the active, environmental ingredient in promoting the development of those personality characteristics that make people less likely to get a job. Well-prepared by my own experience of unemployment to appreciate the power of the welfare state, it struck me that if the welfare state increases the number of children born into disadvantaged families, it will increase the proportion of individuals in the population who possess personality characteristics that make them resistant to employment, as a result of having been exposed to disadvantage during childhood. This happens because people with these characteristics are overrepresented among welfare claimants and so are unlikely to manage their welfare money conscientiously to benefit their children. They are also unlikely to give their children the necessary attention for adequate personality development. This seems to explain the tendency researchers have observed for work motivation to decline in each generation living under the protection of the welfare state. Each generation will contain proportionately more children who are exposed to disadvantage. In turn, the dysfunctional personality characteristics that result from this disadvantaged upbringing mean that these children will have a greater risk than average of becoming welfare claimants themselves and neglecting their own children, thereby perpetuating a cycle of personality mis-development. I began investigating the effects of the welfare state on how many children welfare claimants have. Through a freedom of information request I obtained government data from the Office of National Statistics on reproduction and employment in England and Wales for April to June 2013. These are split into three groups: working households, where every 16- to 64-year-old is employed; mixed households, which contain both employed and unemployed adults; and workless households, where all 16- to 64-year-olds are unemployed. It shows that the number of children born into English and Welsh households rises in step with the proportion of income from welfare benefits. The implication contained in this is that the welfare state means more children are being born to welfare claimants than to employed citizens. But raw, census-style data such as this takes no account of confounding factors. For example, this finding could also be an artifact of the greater material needs of larger families, leading to greater reliance on welfare benefits for reasons connected to poverty rather than personality. These problems have been addressed by studies in the United States and U.K. that explored the causal links through follow-up interviews with people who claimed welfare. They found that claimants used less contraception when there were increases in the amount of benefits available and the number of children born to welfare claimants rose by 1% for every 3% rise in benefit generosity. This raises the alarming possibility that the welfare state has become a production line for dysfunctional, employment-resistant personality characteristics. In order to verify if this is indeed the case and, if it is, come up with reforms to change it, we need more coherent scientific research on personality and the welfare state.